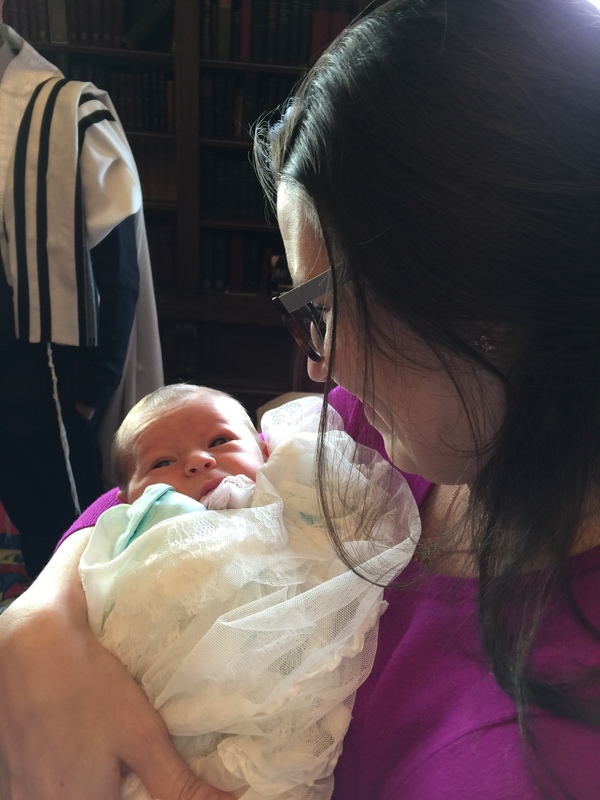 Lauren holds Charles Isaac Gunderson Wolfe during the B’rit Milah. Charles Isaac Gunderson Wolfe arrived came into the land of air and sunlight a bit after 9am in San Francisco November 11th. He created a new center around which pivot his mom, (and still my daughter) Lauren and her husband Nathan, still aching for his own dad who passed away from pancreatic cancer only months ago. That’s the Charles in his name. The young man plays a role even before his eyes can focus in so many lives; his aunts Kathryn and Julie and uncle Mark; his grandmothers Karen and Carol and others in relationships for which the English language has no names. He didn’t even have a real name until 8 days after his birth, which he received in the 4,000-year old sacred process of the B’rit Milah. So only last Tuesday did he begins his life as part of the tribe of faith that has led from the Euphrates to the edge of Chinatown by the Bay. The little kid is born into even more complexity than most Jews, which is plenty complicated enough. He’s aJew-Baptist-Humanist-Artist, and it will take most of his life to figure all that out. Names are…complicated., Just ask any Moleh trying to jot down the proper names of those growing-ups needing acknowledgment in the circumcision ceremony he is presiding over. The ceremony is pretty much unchanged for 4 millenia, but the complexity of the family thing has only gotten more tangled. Rabbi Moshe Trager, the Moleh, gracefully explains the 4,000 year-old tradition of the B’rit Milah. Rabbi Moshe Trager, the Moleh, gracefully explained to the extremely diverse and complicated ensemble of family and friends why Jews have performed the B’rit on every male child for 4,000 years. Can you think of anything else that has survived that long? The reason isn’t the slice of the knife on a very sensitive part of the body. The power is in the naming, which the Moloh explained is not a label, flag or externality. It is the seed that generates identity into which young Charles Isaac will fill out with new meaning in for the years of his life as a Jewish human in the 21st, hopefully even 22nd, century. The name that does that is not “Charles Isaac Gunderson Wolfe,” but וולף Gunderson יצחק צ’ארלס . This holds the name of his grandfather, Nathan’s father Charles who was the generous friend of many in the room and Nathan’s uncle Isaac. Charles Isaac will never meet Charles or Isaac but they will live in him and through him. And there’s nod to my family line which is impossible to translate from Norwegian to Hebrew. I knew Charles for a couple years, but not Isaac. We are, however, now related through our relationship to Charles Isaac. 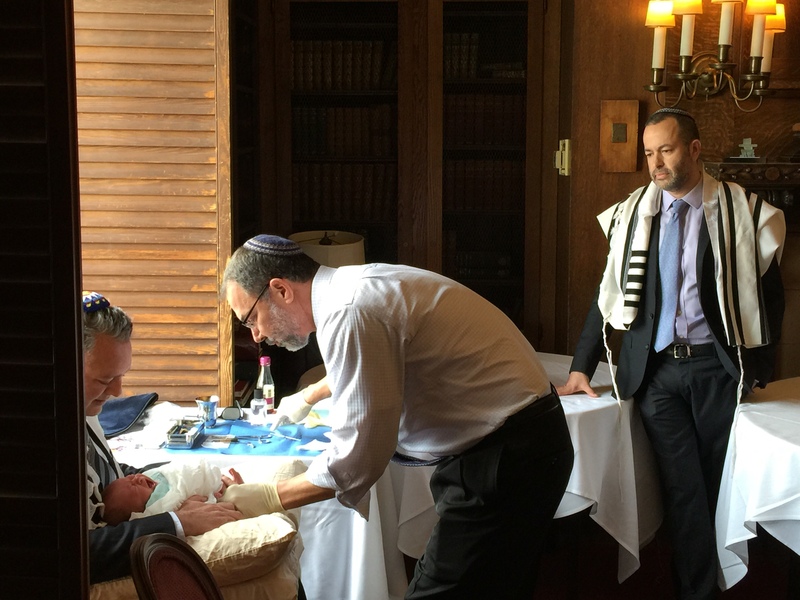 Nathan looks on as Rabbi Trager circumsizes his son who was held by brother Mark. My Jewish in-laws were curious about how a Baptist experienced the B’rit Milah. They were surprised to learn there was a stream of Baptists going back centuries that honored freethinking, resented religious pompery, treasured learning and saw mercy and justice as fruits of Covenant. (I don’t think many Baptists know that, either, but it’s a true story.) 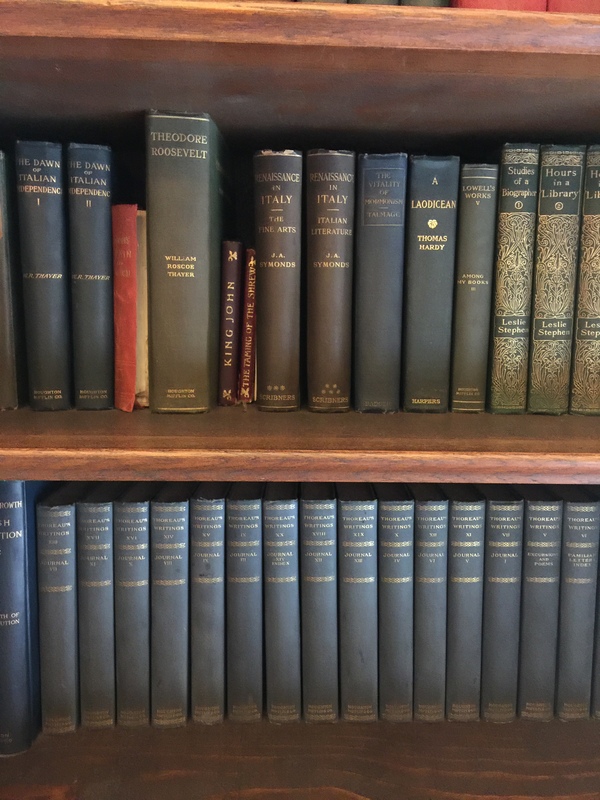 We talked about the wild intertwined history of Jews and Protestants in Italy where the Waldensiens and Jews survived—often together!—in the mountains and caves, not receiving full legal standing until 19…84. So I saw Charles Isaac Gunderson Wolfe born at the vital confluence of two streams of irrepressibly hopefulness that I expected to continue to be highly irritating to the rich, stupid and powerful into the 22nd century. I think we need a lot more names and rituals, especially in the uncharted and unpredictable 21st century. We need help remembering who and whose we are amid ever-increasing social complexity. Names aren’t powerful because of how they label the present. Names are like channels for the energy, choices and behaviors that shape our future(s). The name “grandfather” has little implications immediately, as pregnancy and infancy is pretty entirely about women! But assuming my new name gives Charles Isaac and all those who love him a blank check on everything I have into the future. As any Jew (or Protestant) knows, life is wildly unmanageable, producing relationships and circumstance that could not have been anticipated. But many of the relationships without names are entirely predictable and common as marriages and family and friendships are drawn and scattered across time zones and decades. This complexity is poorly served by the curious assortment of labels that focus on what used to be: “ex” this and “former” that, “step” this and mushy blandness for that. Charles Isaac is not a “former fetus.” Michelle, the woman who was closest to Nathan’s dad and the one chosen to hold Charles Isaac as his name was explained to the congregation, was…a “Best friend.” Yes, she was. But…….. surely we can do better. Names suggest how we are now but also into the future. The name of the role gives us an idea of how to behave in that relationship so as to nurture the life-giving possibilities of the role. We can’t even imagine being a good or bad “something” if we don’t have a name. 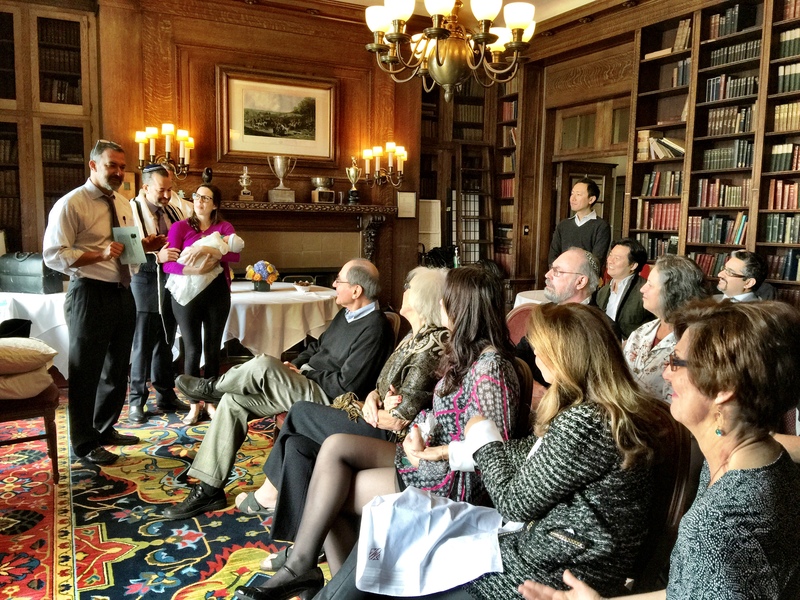 The B’rit was performed in the library of the University Club with the whole collected works of Thoreau in the background. Nice. What is the name of the person who was my wife and is now…….what? Still the mother of my beloved daughters and grandmother of beloved Charles Isaac. What is the name of the relationship between that yet-to-be-named role and my current wife? What is the name of me to her former mate (also named Charles! )(as is her brother! )(So many Charleses!) What are the role expectations of living up to that name? What are the name of the daughters extending out and the name of their relationship to the panoply of Charleses? And, obviously, we need some more ceremonies to help us come into new relationships which change lots of old ones. Ask any clergy: the situation today is chaotic, confusing, anxious and, all too often, sad. We need some help marking the passages and transitions so we can assume new roles as we lay down old ones. Even the most common are rarely offered. There are ceremonies of divorce, but Lanny Peters, the pastor of Oakhurst Baptist Church where nearly every member has been married to at least two other members, has never heard of anyone performing it. So much life unhealed, unclosed, unblessed. 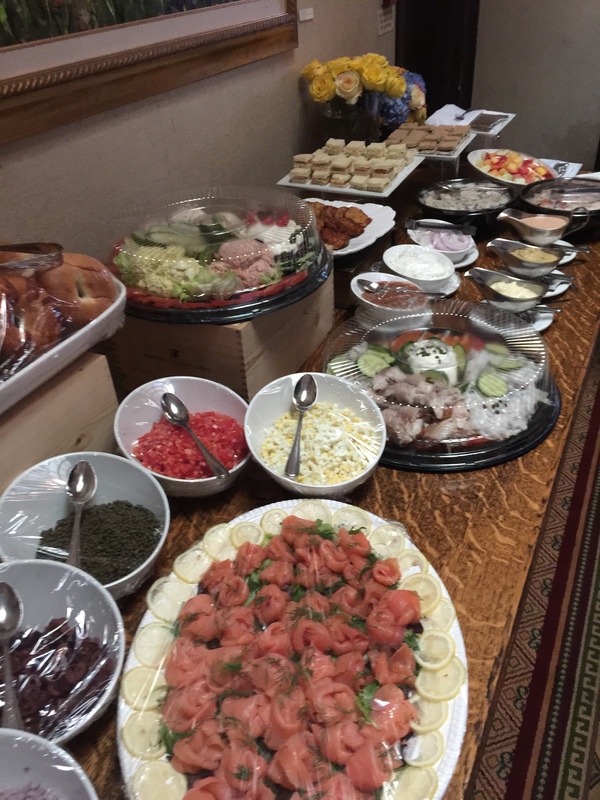 Jews and Baptists leave no sacred event unfed. Names and ceremonies are tools for rules; or maybe only just one. They protect the possibilities of kindness one more human at a time. A good name helps kindness be embodied: וולף Gunderson יצחק צ’ארלס .